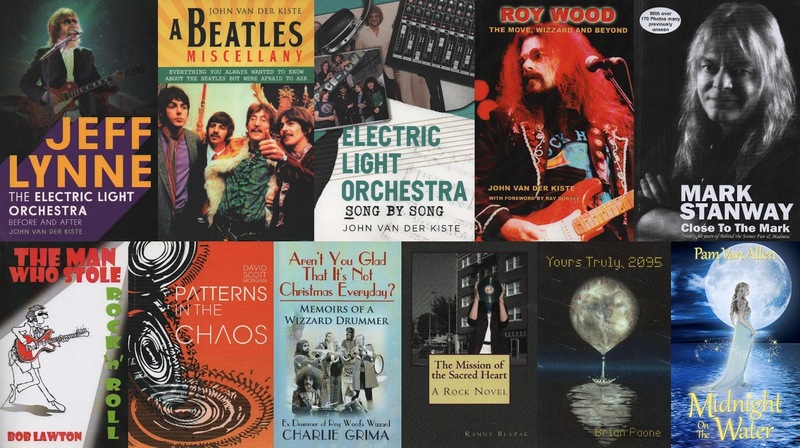 Yours Truly KJS likes to recommend books, from "Time" to "Time", that regular visitors to elobeatlesforever (elobf) may find interesting. It's been almost three years since our last list of recommended reads so here is a 2018 update! This particular literary selection are written by the likes of John Van Der Kiste, Brian Paone, Randy Blazak, Bob Lawton, Mark Stanway (Magnum), Charlie Grima (Wizzard), Dave Scott-Morgan (The Uglys/Magnum/ELO) and Pam Van Allen.